- The quintessential symbol of the Viking spirit of exploration and adventure. 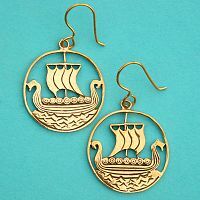 Bronze ship measures 1" in diameter. This design is double-sided, so it can be enjoyed from front and the back, and hangs from a 33" long black cord. Made of bronze. 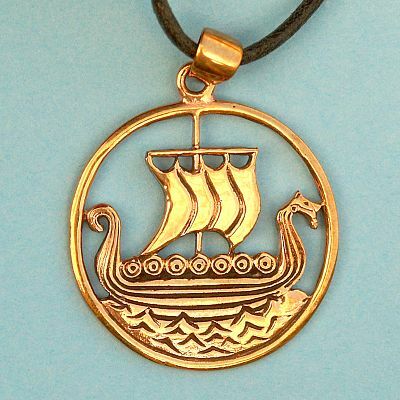 Do you have any other questions about our Bronze Viking Ship Pendant?